Lovely to see this amazing interview with Sue Pillans featured by Biotechniques in the UK (The International Journal of Life Sciences). Dr Sue Pillans has always been drawn to the ocean and has many fond memories of going to the beach, snorkelling and interacting with nature as a child. Sue has been drawing and telling stories about the natural world since she was young and she grew up to become a marine scientist, artist and author who still loves sharing her stories through words and pictures in her creative business ‘Picture your ideas’. Sue’s deep devotion for the ocean is also shared through her alter ego, Dr Suzie Starfish, who uses the art of marine science and storytelling to engage, excite and educate children about our underwater wonders. 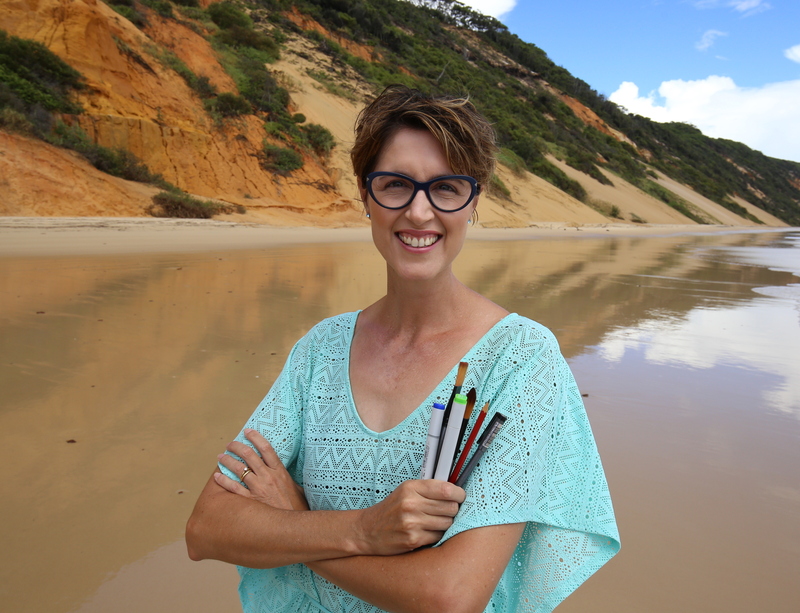 In 2018 she published her first children’s picture book, ‘The Great Barrier Thief’ illustrating the impacts of climate change on the Great Barrier Reef. As an author/illustrator Dr Suzie Starfish draws attention to environmental issues to bring the living oceans into the hearts and minds of young readers. When Sue isn’t drawing out ideas you will find her at the beach or underwater getting her vitamin sea. Sue also has two pawsome creative companions who are always by her side on this creative journey. You can dive in and follow Dr Sue’s visual storytelling via her website and as Dr Suzie Starfish on Facebook.